Dominique is a personal finance blogger at Money Goody, a blog that helps young adults and twenty-somethings learn everything they need to know about budgeting, investing and saving. Download his free monthly budget spreadsheet to get your money in order! I think a great idea for apartment hunting is to walk the neighborhood and talk to locals. 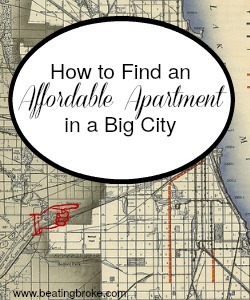 Sometimes the more affordable apartments aren’t even on websites, you have to go out and find them. Sometimes the locals know of a few hidden gems as well. Great advice, thank you for the information.